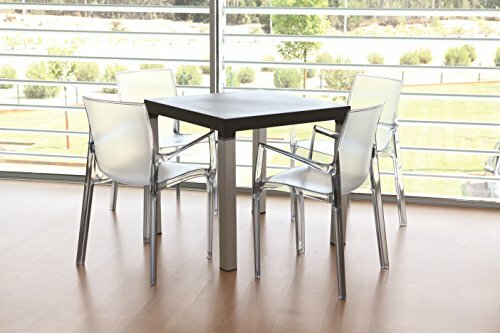 The Tensai Iris Collection Narrow Square Back Polypropylene Monobloc Chair with Arms and Glossy Edges is More than Just a Plastic Chair. The Chair is Modern and Chic. It isn't just a Piece of Furniture you bring out for Parties or Outdoor Fun, but something that can be a Constant Feature in your Home. 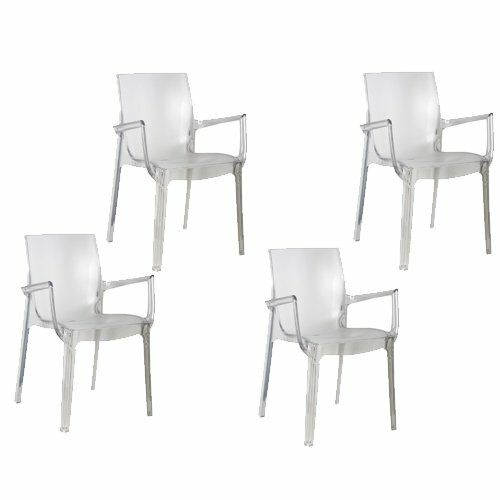 However, that doesn't mean that the Plastic Chair can't be used for Large Gatherings and Outdoor use. A true All-Purpose Piece, the Plastic Chair is Ideal for a Lively Environment like Parties, the Kitchen, Game Room, and a Children's Room. It's Long-Lasting, Flexible, and doesn't Deteriorate Easily, making the Chair a Great Investment for the Home. A Leader in Thermoplastics, Tensai is dedicated to creating the best thermoplastic products on the market. With a Fun, Chic Products, Tensai brings Functional and Stylish Furniture to the Home. Capable of withstanding Everyday Wear and Tear and is Ideal for Kitchens, Patios, Children's Rooms, and Dens. This chair has a Glossy Finish along the Edges that makes it a Modern Take on a Classic Piece of Furniture. If you have any questions about this product by Tensai, contact us by completing and submitting the form below. If you are looking for a specif part number, please include it with your message.